I still remember my first Salesforce Administrator exam – weeks of preparation, fear and excitement. When the day came, I was pretty sure I would pass. However, I failed. I had so many questions: ‘Where did I go wrong? Why? How do I know what was wrong? What do I need to do to prepare myself to try again?’ To retake the exam, I had to start all over again, because I wasn’t sure what topics I needed to concentrate on. Now, finally, Salesforce provides section-level feedback results! What a great relief for those who are taking certification exams, and especially if you are having to retake an exam. In your certification result email, you will receive percentage scores for each section of the exam. Now, you can determine your weaknesses and work on them. 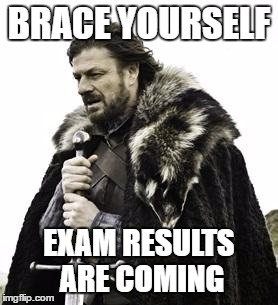 The exam-level result will still be provided as PASS or FAIL. Your Webassessor account will contain all the details you need in your completed exam history. Please note: section-level scores are provided only for multiple-choice exams (except the Technical Architect – multiple-choice, beta, transition and release exams). Also, section-level feedback is provided only for exams in English and completed after 13 January 2017.